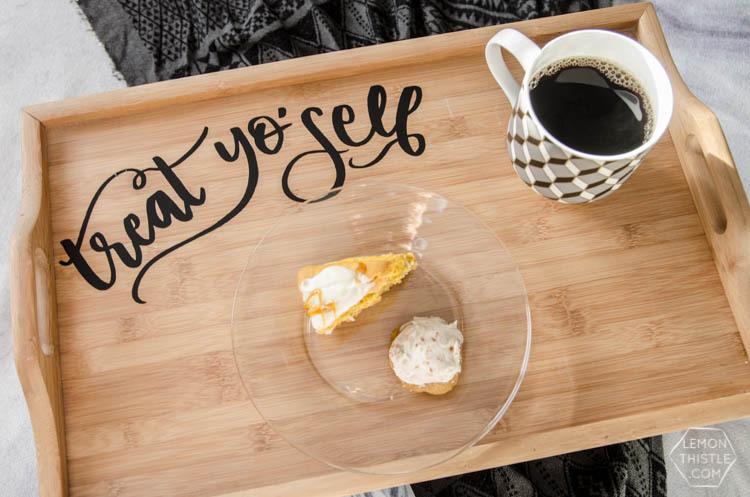 This DIY breakfast tray upgrade is the perfect fun addition to your standard wooden breakfast tray to Treat yo’self. It takes dry toast breakfast in bed to donuts and coffee while lounging in bed midday. And it’s darned simple to make using my free template, friends. We have a lot of un-fun projects going on around our home right now – staining a fence, concrete slabs, adding doorknobs, painting trim and re-organizing linen closets. Even though I know we’re super busy and being productive, there hasn’t been many ‘easy wins’ that make our life better without a ton of work. 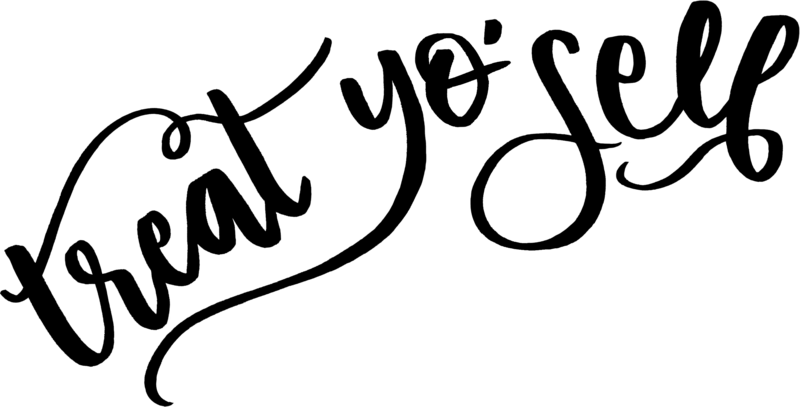 I really wanted to do something that would be easy (heck yes), fun (brings me a smile), and quick. This fits the bill. 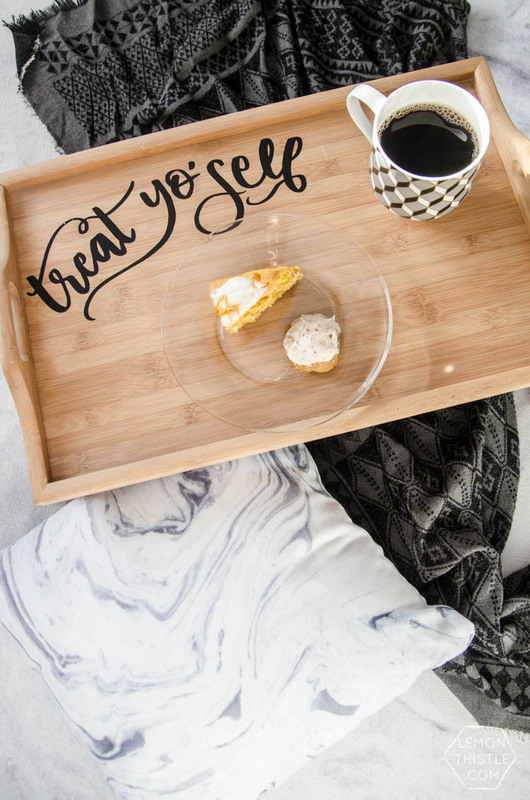 So you should probably treat yo’ self too. Before I start… I took the easy way out. But there’s another way to do this. 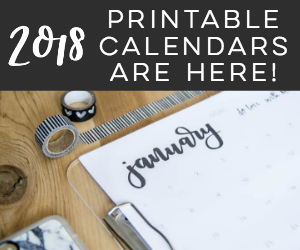 I used my Cricut Explore which is a magician. 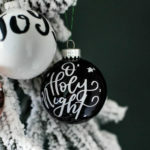 BUT I’m also going to give step by steps for creating this using my template and a paint pen. So you can enjoy even without a fancypants machine. 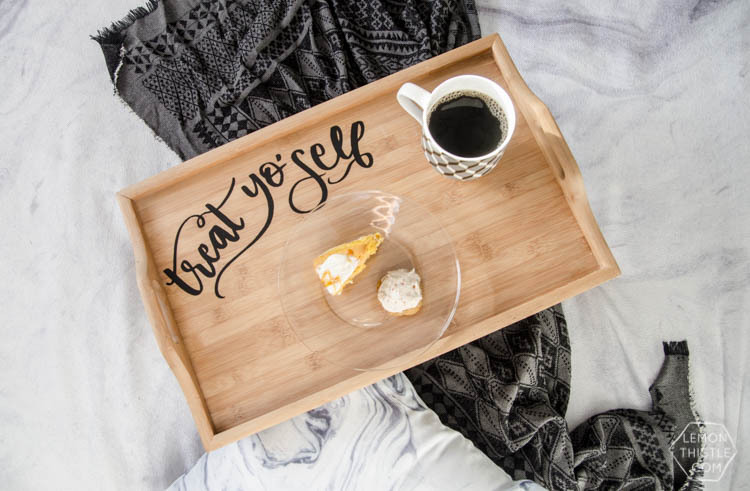 *If you’re not looking for an easy win (or don’t already have a breakfast tray), the fab Jen Woodhouse has a DIY tutorial to make your own folding breakfast tray out of ONE board. She’s kind of a dream maker. And she can sing, but that’s another story. 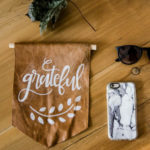 If you’re using a cutting machine like a Cricut, the DIY on this is really simple. 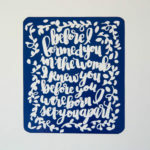 Download my design above and upload it to your Cricut Design Space. Upload it as a simple image, cut only, and insert it onto your canvas. Stretch it to just under 12″ to keep it on one mat and hit go. Use a piece of black indoor vinyl (if you’d like for this to be removable). When it’s done printing, weed and apply transfer tape. 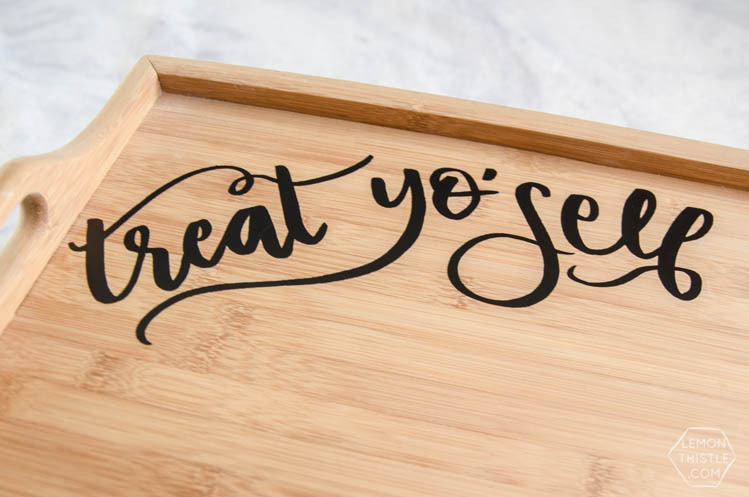 Then… apply it to your wood breakfast tray! TADA. Seriously. If you’re using a paint marker, go ahead and download the design, then insert it into a word document and rotate it to print it almost full page. Color with your pencil over the entire back of the sheet you printed on. Lay that down on your breakfast tray, taking care to position it where you like, then firmly trace over the lettering with your pencil. This will transfer some of the pencil to the wood. Use your paint marker to go over the outline you’ve transferred, then fill it in. This post shows a great example of this process. I seriously feel spoiled just using this thing! It’s always been a treat to use- Shane got it for me one year for Christmas. But now that it’s cheeky, it doesn’t feel so extravagant for me to pull it out and climb into bed. The twins also think it’s the jam. I let them use it to have ‘bed picnics’ with me. Does it get any cuter than that? 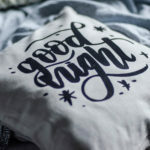 What is the name of the font you are using? Hi! 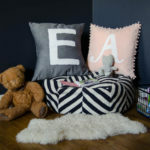 New to your blog and totally in love!!! 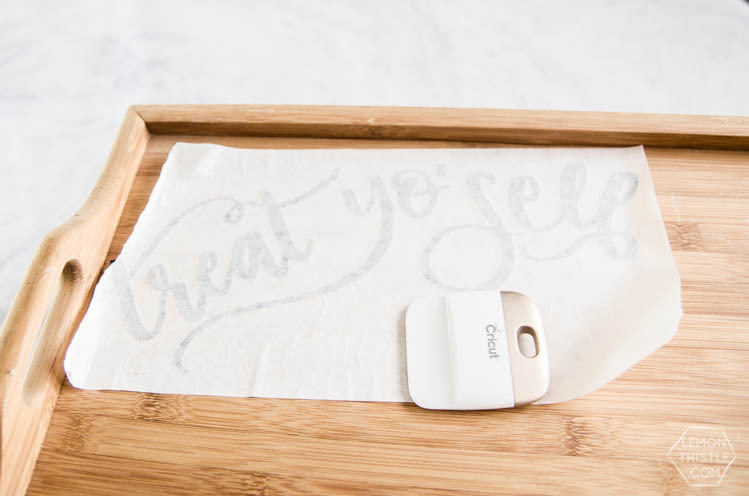 I just bought myself a Cricut Air 2 and have been looking for a cute beginner project. This is it! 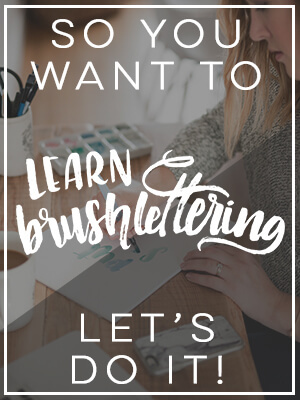 I love your hand lettering design and already have all the materials needed. Thank you!